Last September during the Toronto International Film Festival (TIFF), Teena and I managed to get tickets the for the Gala North American premiere of The King's Speech, which opened at Roy Thompson Hall. We both thoroughly enjoyed the film. 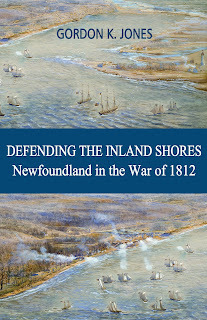 When I discovered that there was a book written too, I was anxious to read it. I had hoped it would not just be written from the plot of the film and was happy to discover that the book was written by Lionel Logue's grandson, Mark, and Peter Conradi. The King's Speech is the previously untold story of the extraordinary relationship between an unknown and certainly unqualified speech therapist called Lionel Logue and the haunted young man who became King George VI. 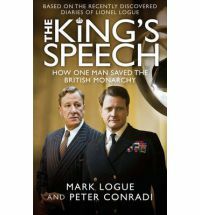 Drawn from Logue's personal diaries, The King's Speech is an intimate portrait of the British monarchy at the time of its greatest crisis. It throws extraordinary light on the intimacy of the two men-and on the vital role the king's wife, the late Queen Elizabeth, the Queen Mother, played in bringing them together to save her husband's reputation and his career as king. The book follows both Lionel Logue and Albert, the future King George VI, from birth through to both their deaths. I enjoyed how the book would quote letters between the two, which helped describe how their working relationship as patient and doctor became a friendship and how the friendship was a very formal one, as it still involved friendship between a King and a commoner. Having seen the movie and read the book, I have come to greatly respect King George VI, the reluctant king. He overcame a serious social impediment to help lead his country through the second world war, which definitely was the counties "darkest hour"
I highly recommend both the book and movie and was glad I saw the movie, before reading the book, although each can be enjoyed entirely on their own. The woman I work with has a picture on her wall of this king shaking her husband's hand. Her husband had been a fighter pilot and met the king then.